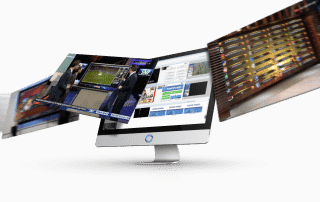 PRIME Graphics is ChyronHego’s universal graphics platform that stacks an array of diverse applications into a single design and playout solution. Media professionals from news, sports, in-venue, entertainment, and government/corporate are embracing PRIME Graphics’ “One Platform, Multiple Solutions” model. Powered by the latest version of our most powerful rendering engine, PRIME Graphics is ChyronHego’s advanced 4K- and HDR-ready, 3D graphics authoring and playout solution that actually adapts to your requirements by offering five feature sets within a single easy to use platform. PRIME Graphics can be configured as a Branding solution, an integrated Clip Player, a unified Newsroom Graphics system, a graphics-driven Video Wall solution, or as an integrated touchscreen solution. Any canvas size – to any number of outputs, to any resolution per output – all synchronized and automated by PRIME. Resolution-agnostic and software-based, PRIME Graphics leverages advanced 64-bit GPU- and CPU-based technologies for maximum power in rendering graphics and effects, as well as HDR-enabled, 16-bit color and the ability to deliver HDR formats including 10-bit hybrid log gamma (HLG) HDR output. Access to your graphics has never been more critical, particularly in today’s multi-platform, file-based newsroom production and editing environments. PRIME Workflow extends your access to ChyronHego content syncing and distribution tools, such as HubDrive, as well as a wide range of Non-linear Editing and other third-party applications. Moreover, the PRIME Folder Watcher application can transcode clip formats without any operator intervention. The PRIME Designer is a powerful creative tool that offers drag-and-drop intuitive design for quick and easy scene construction. Plus, the solution’s Advanced Data Object provides filtered data binding for scene elements, and seamless integration with ChyronHego’s NewsTicker™ enables access to back-end data streams. PRIME Graphics also includes powerful and easy-to-use capabilities for building customized transitions, including ChyronHego’s unique Warp Effects technology as well as auto-follow, mask, render texture, and more. PRIME Graphics includes full Unicode support and its user interface is localized in 13 different languages. 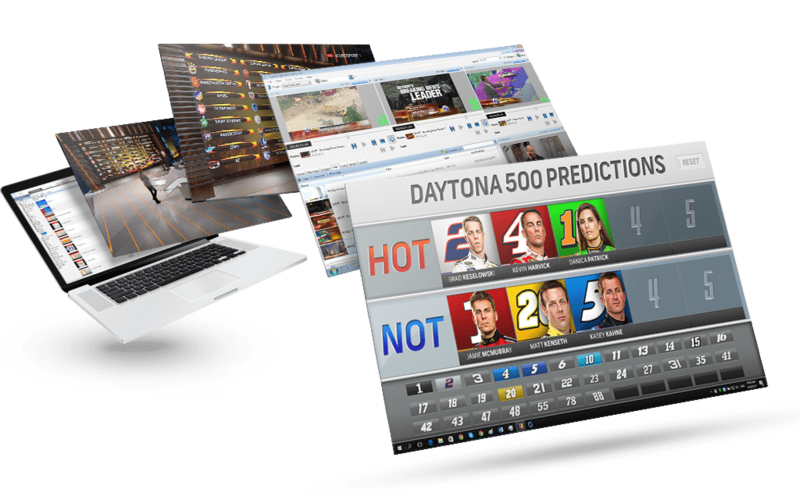 PRIME Graphics provides full integration with CAMIO, ChyronHego’s MOS-based and NRCS-connected graphics asset management solution, giving news and sports broadcasters the ability to significantly extend their newsroom capabilities. 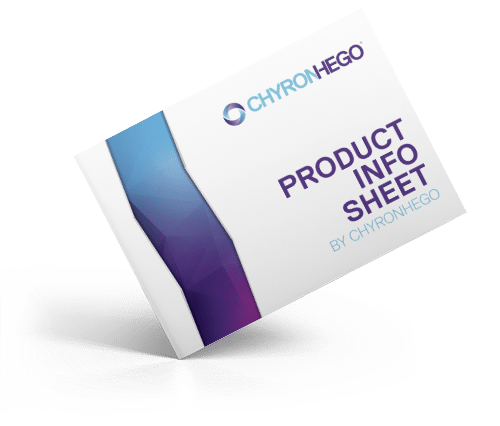 A brief introductory video description of ChyronHego’s PRIME Graphics Platform. PRIME Graphics supports UHD, HD-SDI, NDI and SMPTE 2110 input sources, and UHD, HD-SDI, NDI, SMPTE 2110, and DVI output sources. Any input source can be routed to any output source. In addition, PRIME Graphics supports up to 8 HD-SDI inputs or outputs, configured as Video or Key, for 8-bit or 16-bit color. Full audio capabilities for all inputs and outputs including audio mixing. PRIME Graphics supports Dolby® pass-through. PRIME Graphics supports Chyron Intelligent Interface, PBus, VDCP and Ross® Talk. PRIME Graphics supports VBScript, Jscript, LUA Script, Shader Editor an embedded C# scripting engine with Auto Complete, Expressions Engine, and a Drag and Drop Conditional Editor with Auto Complete. PRIME Graphics is a software-based, resolution-agnostic solution that leverages advanced 64-bit GPU- and CPU-based technologies, 16-bit color per channel and full 10-bit I/O for maximum power in rendering graphics and effects. PRIME Graphics is available in three software tiers to meet your needs. Wow your audience with customized transitions, including unique Warp Effects, a unique special effects capability that integrates with industry-leading third-party modeling and rendering tools such as Adobe® After Effects and 3ds Max from Autodesk®. Supported by an all-new browser interface, PRIME Graphics’ drag-and-drop design allows for quick and easy scene construction. Its Scene Designer sports an enhanced timeline. PRIME Graphics’ Advanced Data Object provides drag-and-drop filtered data-binding to scene elements, and ChyronHego’s NewsTicker™ can provide back-end data streams directly to PRIME Graphics. Available data connections include Text Files, XML with XPath and XSLT, RSS, Web XML, JSON, EXCLE Access, any ODBC compliant data source, AP Web Feed, Google Spread sheets, ChyronHego Data Engine, and more. Deliver bold, up-to-the-minute branding elements such as headlines, sports scores, weather reports, financial data, snipes, social media commentary, and automated promos. A multi-channel Clip Player with user-defined clip transitions, and integration to CAMIO, ChyronHego’s graphics asset management solution. PRIME Clips can play up to six HD full-frame clips or three clips with key. Up to 6 full frame HDSD clips with support for most all major codecs, QuickTime®, DNxHD. ProRes® GTC, AVC Intra, XDCam®, and many more. Folder watchers and clip convertors for transcoding are all part of PRIME’s “Workflow” toolset. 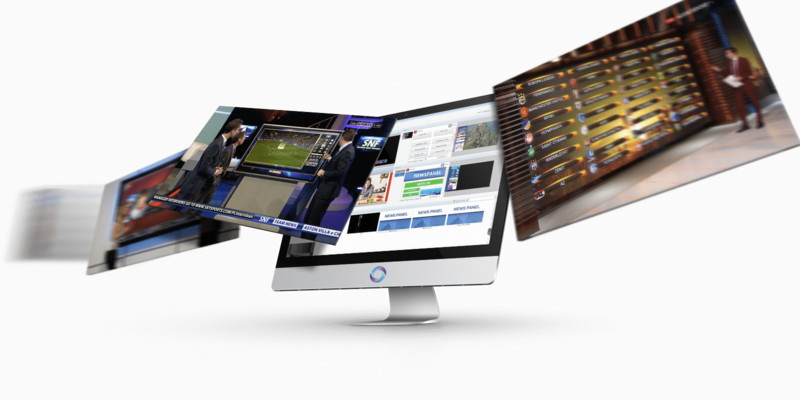 PRIME News provides full integration to ChyronHego’s MOS-based and NRCS-connected graphics asset management solution, CAMIO, as well as to its interconnected news producer tool, LUCI5, enabling the industry’s fastest turnaround from graphics creation to playout. Let your news and sports reporters tell a better story with visually compelling, data-driven interactive touch screen presentations. Today’s studio set designers are taking advantage of the larger canvas offered by modern monitor display technology. 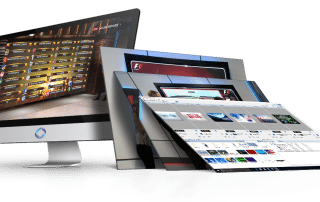 PRIME Studio Monitors & Video Walls feed your graphics to non-standard aspect ratio monitor walls, touchscreens, integrated anchor desk monitor displays, and more. A single PRIME Channel can feed multiple monitors or span monitors in a Display Matrix.